I don't share the concern that many are feeling about the form of some of our leading players at the moment. 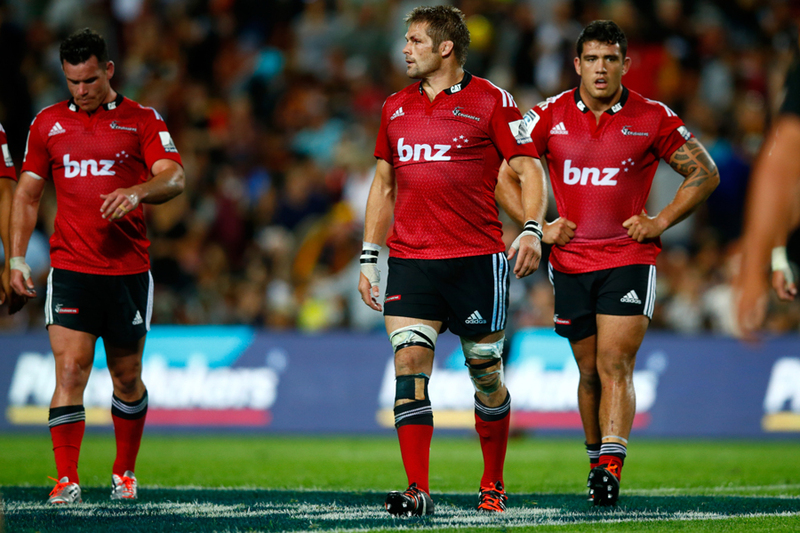 Certainly the fall-off in performance in the Crusaders will affect their Super Rugby play-offs hopes, but there is a long way still to go this year and a lot of important games still to be played - especially for the All Blacks. Whatever else happened in Christchurch on Friday, the battle between the Crusaders and the Chiefs was a good game. The Chiefs played well, but I think it highlighted that Steve Hansen has probably been on the phone making the mid-season phone call that selectors make, to one or two players, advising them that it is about time they started stepping up. I'm not picking on individuals but if you look at our 23, or even our starting XV, you can ask how many of them are the best in their position at the moment. Some like Conrad Smith and Ma'a Nonu are going OK but I should imagine there are a few others whom Hansen will be tapping on the shoulders and saying, "I need to see a bit more". Then you see someone like Sam Cane playing so well for the Chiefs on Friday, along with Brodie Retallick and Liam Messam; Retallick is just a beast and he plays like it, which is good for the future. I have got no worries about Richie McCaw. There has been a lot of talk about whether he is past it, or lost a yard of pace, blah, blah, blah, it is all just … crap really. People need to realise the Rugby World Cup is not going to be open running rugby and a try fest. It is not going to be a celebration of how the game can be played, or whether a guy is lightning quick and can beat players. It is going to be a slog fest, a street fight. It is going to be Test match rugby. Remember the World Cup final in 2011 finished at 8-7. It is not going to be full of dazzling tries. There will be moments during the tournament when the pressure is really on, and the bullets will be flying. When that happens you are going to need someone to step up, someone who has the experience, to grab the young ones and say, "This is how you do it!". And that is where Richie McCaw will be Richie McCaw, and of inestimable value to the side. It is great to have young guys stepping up, and it is great to have someone like Sam Cane probably on the bench and you can use him in that environment. That so many are casting McCaw aside beggars belief. Dan Carter probably needs to be starting to play more at first five-eighth. 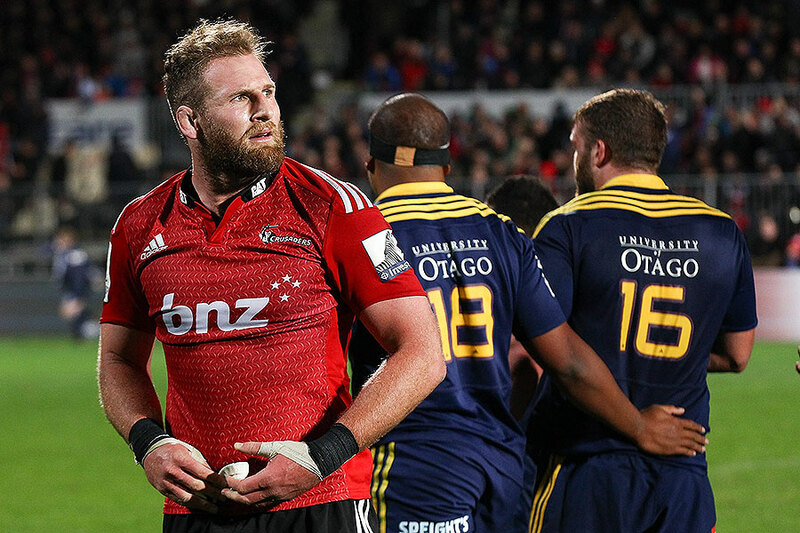 But that is what is best for Carter, and I'm sure Todd Blackadder will be asking what is best for the Crusaders and that is what the coach has to do. That is why Richie McCaw plays blindside occasionally with Matt Todd on the openside. Blackader's consideration is what's best for the team. His job is to win and do well for the Crusaders, and that is the way it goes. When you have got someone like Colin Slade, you can't leave him out of a team. There's another factor to consider, too. I think Super Rugby, to a lot of these more experienced players, has become a bit of a chore. For these guys it is the same old, same old, same old. And it is a little boring. That's why when a lot of guys do leave New Zealand rugby and go overseas it is because they have just had a gutsful. There is the view that Argentina and Japan coming in next year will go some way towards freshening things up, and how some of the players are excited at the prospect. Going to South Africa a couple of times a year, and Australia, and playing the same teams in a competition that is a very long competition is becoming a marathon. I feel sorry for the players. All of a sudden they have a couple of ordinary games and their right to the All Blacks jersey is being questioned. Steve Hansen has come out in the past and said it is how they play in the All Blacks jersey that he is really worried about. You've got someone like Kieran Read, a phenomenal player, who hasn't hit his straps yet, but Read at his best is the best in the world. I shrug my shoulders at the critics. You can say the Crusaders aren't firing at the moment but at the same time that Chiefs team were on fire; the Chiefs played really well. I think it's just this week's topic and in a couple of weeks it will all blow over; it's a non-issue. The injury news about Aaron Cruden is not a non-issue. What has happened to Aaron Cruden is a shame and a blow for him. But one man's misfortune is another man's opportunity. I imagine Beauden Barrett will be digging a little deeper in his training and his preparation now knowing there is one rival gone. 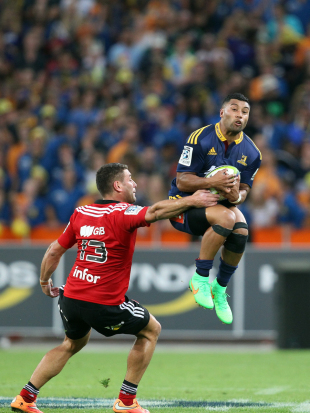 Someone like Lima Sopoaga is another with plenty to offer. He's the forgotten man. We've got Carter, Cruden, Barrett, Slade and even Tom Taylor, and then we jump to the young talent around the country. Sopoaga is really maturing into a really fine 10. He's got a bag of tricks - he breaks lines, he's got good vision, he's got a great kicking game and a great boot, he doesn't miss that often and is someone we need to take a lot more seriously for the next step up. Against the Blues at the weekend, I thought he was fantastic for the Highlanders and I think he wouldn't be a bad option. There are a few first-fives in the All Blacks panel and I'm sure they've got their eye on him. If you look at how the Highlanders are playing, he is crucial to them. He creates so much for that backline and when it comes to the goal-kicking he is brilliant at that. He is also safe on defence.